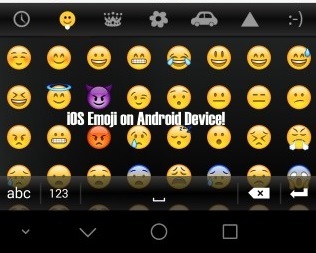 Home Andriod How To Change Android Emoji To IOS Emoji in Easy Step. 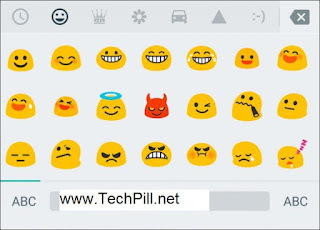 How To Change Android Emoji To IOS Emoji in Easy Step. Its been a while friends, It good to have you back here on techpill. I know you are tire of old android emoji why not try this super, amazing, lovely IOS Emoji on your Android phone. Check it out, it so cool. you will love it. instead of the boring Android Emoji. Follow this steps to change Android Emoji to a Brand new IOS emoji. You don't need any third party apps to do it all you need is root access and TTF font you will put somewhere in your folder. It is very easy to set up just follow this explaination. 1 Download and install ES File Explorer. 2. Download this zip file. It contains the TTF font you’ll be needing (NotoColorEmoji.ttf). 4. 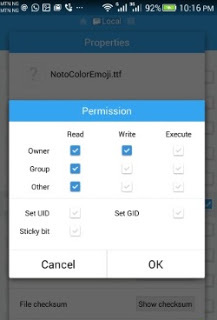 Go to Device > system > fonts and rename NotoColorEmoji.ttf to NotoColorEmoji_OLD.ttf. This will allow you to easily revert to the default color Emoji font if anything goes wrong. 5. Now copy the downloaded NotoColorEmoji.ttf you extracted earlier to Device > system > fonts. 7. Reboot your Android phone and check your keyboard. Hello. When i try to rename the file the system doesn't allow me, and in properties that oit doesn't appear that menu. Does the phone need to be rooted? Yes! you need to root your phone. Make sure your phone is rooted, unzip the zip file you downloaded, it right inside it.